NCRI - The state-run ISNA news agency quoting the secretary of the association of mineral water and beverage producers wrote on June 27 that following issuance of permit for imports of water packaging, the legal import of these products to Iran has begun. 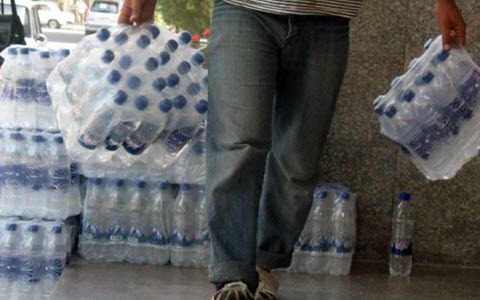 Earlier, Iranian media had reported about smuggling of carbonated drinking water to Iran. According to the report “luxury packaging water” is offered at 60,000 Tomans (~$25) in supermarkets and restaurants in northern Tehran. The import and smuggling of mineral drinking water is confirmed while each year 1.1 billion liter of packaging water is produced inside Iran. Meanwhile, some state-run media reported that among 21 different kinds of best-selling mineral water in Iran’s market only 9 are healthy.